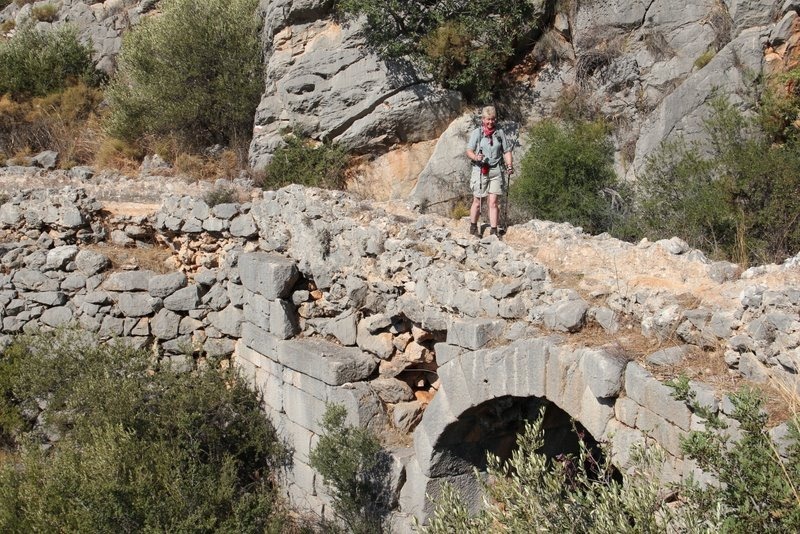 The Trekking Route of the Lycian Way is along the chain of paths connecting the cities of the Lycian Union thousand of years ago.In other words, walking along this way is like going through a tunnel of time leading to present from depths of history. 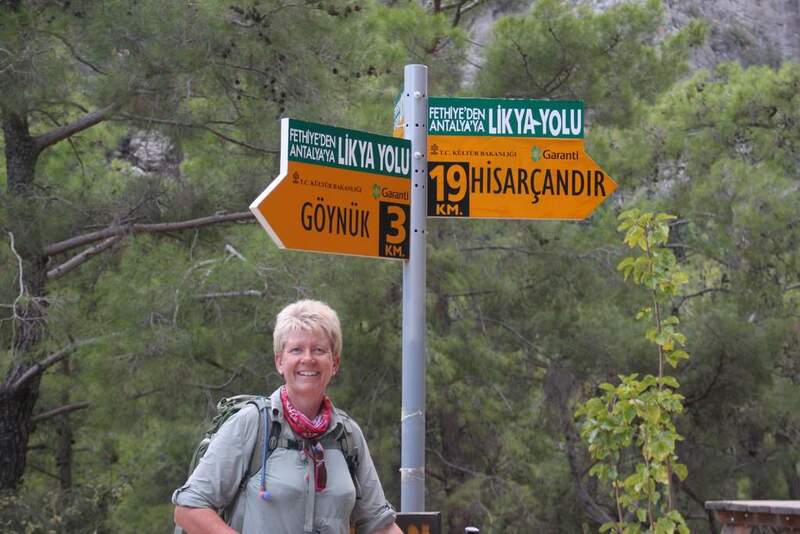 Click on the links below to see just how amazing it was……..
Day 24Â Goynuk to Hisarcandir. 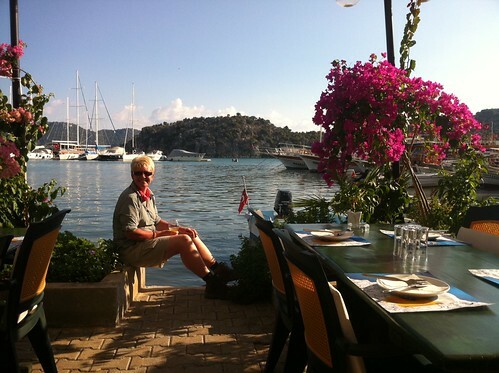 This entry was posted in Lycian Way on November 12, 2011 by Sally. There are no supplies, no accommodation and no water till towards the end of the walk. You also climbed to around 1500m from sea level over a mostly rocky and hard to find path. From then on the route was easy to find and very well marked. We saw hole mountain, near the peak is a hole that the sky can be seen through, those that have climbed right up say it’s big enough for 2 buses to pass through. The last couple of meters are over rock slabs and then your on top of the world…. Hudacik ridge , then it’s through a narrow opening and then there is only one way …… Down !! But it was worth every step especially when I found the big sign that marks the finish, especially since a walk guide told me they did not exist. This entry was posted in Lycian Way, Personal on October 27, 2011 by Sally. The walking since I last posted has been brilliant. This entry was posted in Lycian Way on October 24, 2011 by Sally. So far we have had an amazing 13 days walking along the Lycian way in Turkey and have walked around 135 miles. We have been up in the turkish hills where local people rescued us from the Turkish storms then provided us with a bed and food. Rumour has it that the next 13 days will be even harder ! 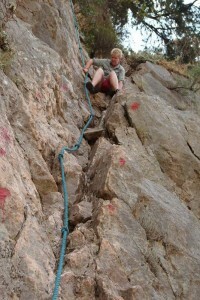 This entry was posted in Lycian Way on October 15, 2011 by Sally. Once again though we were rewarded with spectacular views especially along the aqueduct. The route was hard to follow in places today so we didn’t reach Akbel till 4.30pm. 7 hours to walk 13 miles that gives you an idea how tough it was. Tomorrow it’s a quick look at Patara beach, which is said to be the best in turkey and the only sandy beach too. 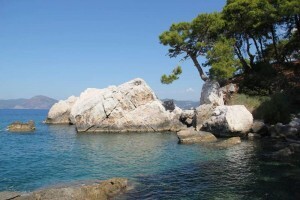 This entry was posted in Lycian Way on October 7, 2011 by Sally. 50 miles Walked in 5 days in exhausting heat of 30 c and over terrain very very different to what we are used to. Today we Walked from Gavuragthi to Xanthos. Unfortunately there was no where to stay so we had to catch the bus to Patara. Although we found time to look round the Roman ruins first. 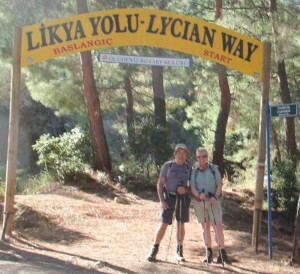 This entry was posted in Lycian Way, Walks on October 6, 2011 by Sally. Tonight we are at the beautiful secluded Turan Hill Lounge Â (Warning Jenny it’s in flash! )Â in Kabak. We walked the 9km Coastal path from the George House. It was a harder walk than expected in heat over 30c but we were rewarded with magnificent views. 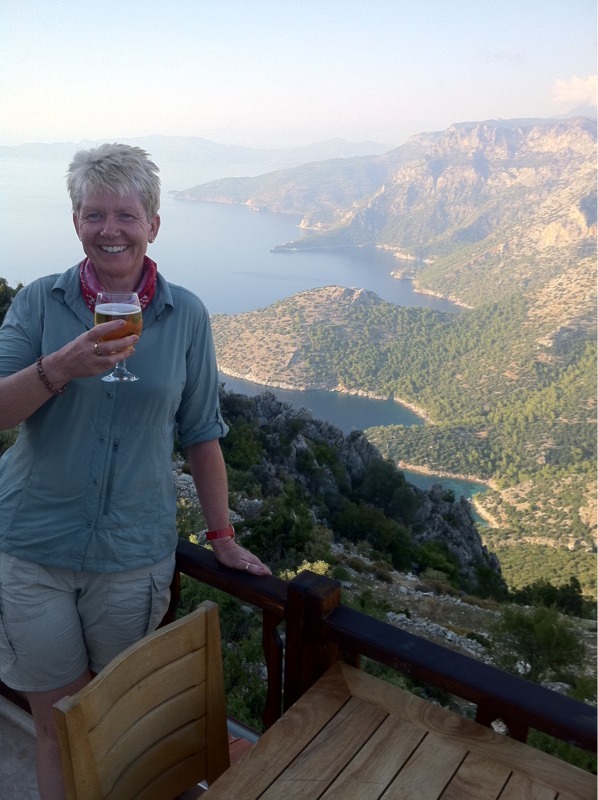 Towards the end of the walk we joined back up with the Lycian way and continued along the way till we found the Turan Hill Lounge. Where, We enjoyed the coolness of their spring water pool, drank wine and relaxed for the rest of the afternoon. 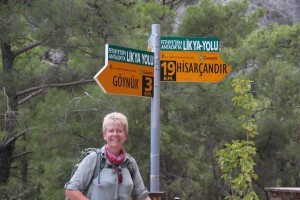 This entry was posted in Lycian Way, Walks on October 3, 2011 by Sally. Today we walked the first day of the Lycian Way from Ovacik to Faralya the book said 7 hours , we did it in under 5. It was a great walk brilliant scenery with sea and mountains always in sight. As always I feel like I have lost a stone in sweat but it’s a wonderful feeling. We are staying at the George House pension which is a little piece of paradise with the most fantastic vegetarian food. From the George House you can climb down to the Butterfly Valley and the beach it’s a dangerous walk / climb down and many ropes are needed to assist you. It was very scary and many times we thought about turning back but we so wanted that swim in the sea ! The swim was beautiful but we were concerned about our climb back up to the George House. Lucky for us it was easier and quicker so we just made it back as the sky’s opened to a magnificent thunder storm. This entry was posted in Lycian Way, Walks on October 2, 2011 by Sally.